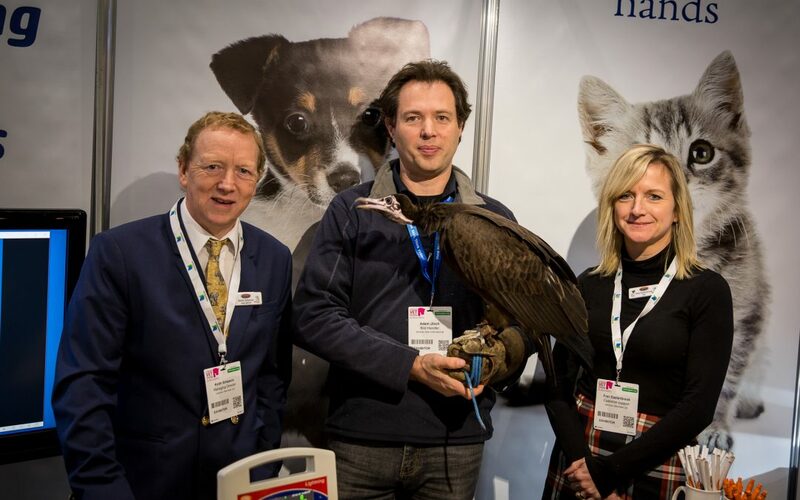 Vetronic Services were truly graced by the presence of a hooded vulture on their stand at the recent London Vet Show 2017. The beautiful bird was closely cared for during the show by his handler from the International Centre for Birds of Prey in Gloucestershire and he spent some time on the Vetronic stand where he seemed relaxed and comfortable having his photograph taken. Vultures and other birds of prey are persecuted throughout the world, either through hunting and the poisoning of carcasses, or indirectly through injuries caused by kite strings or wind turbines and the use of drugs in livestock which are poisonous to them. Numbers of some species of vultures are in steep and rapid decline. The Raptor Rehabilitation Programme aims to ensure that as many injured birds as possible survive and are successfully reintroduced to the wild. Vet teams are already working in India to increase the survival rate of injured birds and to increase their fitness at release. Big Give Christmas Challenge goes live on #GivingTuesday, 28 November 2017. The charity aims to raise at least £3,000 in online donations by 5 December and Vetronic Services Ltd, along with other companies and establishments have offered to match the donations #Vets4Vultures receives. To donate, visit the #Vets4Vultures BigGive page.